Employing camera traps to survey Amazonian mammals in Guyana, researchers found that large mammals and birds did not see a lower population of target species in reduced-impact logging areas as compared to unlogged areas. For some species, like jaguars and pumas, population numbers actually rose. The research was conducted in an unusually managed swath of forest: Iwokrama. Spreading over nearly 400,000 hectares (close to 990,000 acres) – an area a little smaller than Rhode Island – Iwokrama Forest is managed by the not-for-profit Iwokrama organization and 16 local Makushi communities. Looking at 17 key species in the area – including 15 mammals and two large birds – the researchers found that populations didn’t change much between logged and unlogged areas, a sign that Iwokrama’s logging regime is not disturbing the area’s larger taxa. A new study finds that Reduced-Impact Logging (RIL) techniques in Guyana have only minimal effects on the regeneration of trees. The study conducted in the logging compartments of the Iwokrama Forest by the University of Kent, counted seedling regeneration in forest that had been logged and in areas that had not been affected by logging. Few differences were found, in both the commercial and pioneer trees species that were sampled. 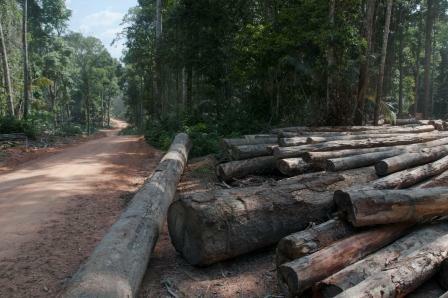 When it comes to logging, it may be possible to have our timber and our tropical forests, too. 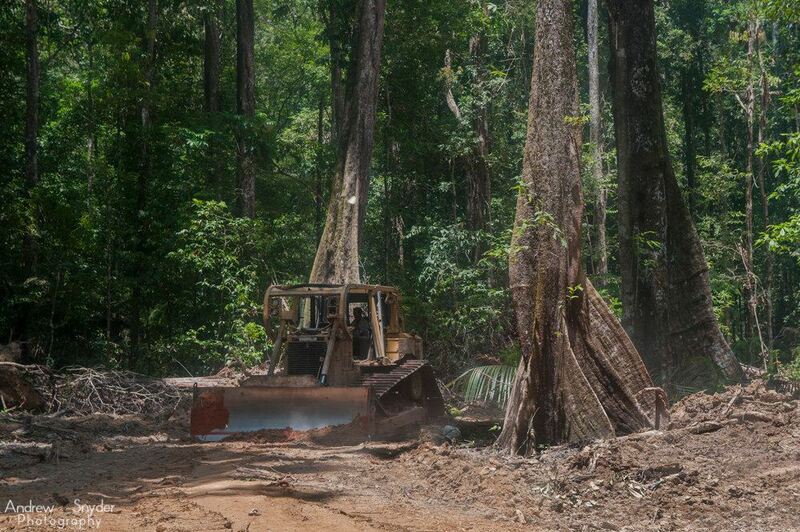 The key, according to a report in the journal Current Biology on December 1, is careful planning and the use of reduced-impact logging (RIL) practices that avoid unnecessary damage to the surrounding forest. RIL practices reduce the level of damage within the forest that is caused by tree harvesting, Bicknell explains. Those practices include well-planned logging roads, directional felling so that cut trees do not crush those that should be left standing, and cutting vines that might otherwise pull nearby trees down along with those marked for cutting. The researchers conducted a meta-analysis of studies, including some conducted in Guyana, and compared diversity in primary tropical forest using conventional logging and RIL. They found consistently lower effects of RIL in comparison to conventional logging practices, with smaller shifts in species abundance following RIL logging. RIL logging appears to cause less harm to birds, arthropods, mammals, and especially bats. The new study comes as welcome news following another report in Current Biology showing that even the removal of very few trees can have a devastating impact on forest animals, and on mammals and amphibians in particular. The latest study suggests that this is because “harvest intensities are not always indicative of actual disturbance levels resulting from logging.” In many cases, plenty of unnecessary damage to the forest is being done. Consumers can do their part by demanding wood that is RIL certified, although it may be hard to come by for now. Currently, less than five percent of timber production forests meet that standard. Bicknell nevertheless sees reason for optimism. “The guidelines are already in place, the logging techniques are available, and the expertise exists, so there is little excuse for timber companies not to implement RIL,” he says. “Economically, RIL can bring greater profits to timber companies over the long term, although the initial expenses may be slightly greater than with conventional practices.